Home » College Students » Tools & Resources » What Makes Up a Compensation Package? What Makes Up a Compensation Package? When you think of your salary, you might just think about your weekly paycheck. If one company offers you $50,000 a year and the other $60,000, just go with the bigger paycheck, right? This isn’t all a company provides you though. 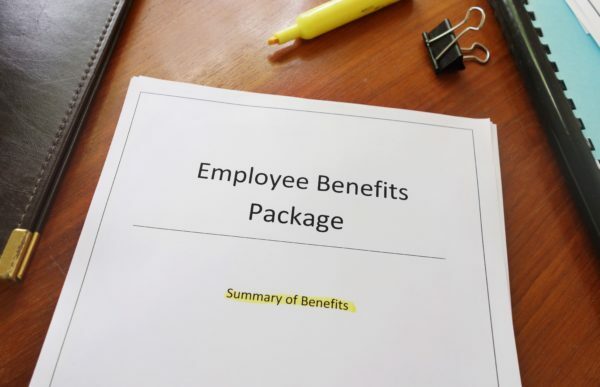 There are a lot of things that go into a compensation package, and we’re here to break down the most popular benefits that go beyond what goes into your paycheck. Probably the most well known option, bonuses are typically given at the end of a quarter or at the end of the year. Think of these as a reflection of your performance. Your company sets a goal for you based on your performance, and if you exceed these expectations you could receive a bonus. Maybe you sold the most product on your sales team, or saved an important account. Bonuses are the easiest way for a company to show appreciation for what you’ve done. Typically the higher your salary, the higher your earning potential for bonuses, as can be seen below. There are exceptions – most notably careers in finance and tech can exceed these typical bonus percentages with their highest ranking employees. Plenty of companies offer retirement options through their compensation, and one of the most common ways is through a 401k plan. In a 401k plan, you can choose to put a set portion of your salary into an investment account, and let it earn interest and investing profits. While this may not sound special on its own, the best part is that companies will typically match the amount you contribute, up to a certain percentage. So for example, if you decide to put $5000 into your 401k account through your paycheck, your employer will also put in $5000. So while it isn’t money you receive immediately, you’ll reap the benefits later. Not all employers do this though. Particularly, smaller companies may not offer retirement plans. If you want to learn more about 401k’s, you can find more information here. Medical Care: Such as when you see a doctor for a checkup, or when you have an operation. Dental Care: When you visit a dentist, or get a more expensive procedure such as braces. Vision Care: Visiting an optometrist, and obtaining potential prescriptions for glasses. Outpatient Drug Coverage: Prescription drugs you may need. This doesn’t mean that you’ll get all of this coverage for free though. You may have heard the terms “copay” and “deductible” thrown around. A deductible is a set payment you must make every year in relation to medical bills. Let’s say you have a yearly deductible of $3,000. The bills you pay contribute towards this $3,000 that you pay every year. If you have a particularly bad year, and have to pay $10,000 in medical bills, your healthcare provider makes up the difference, in this case $7,000. If you don’t exceed $3,000 your provider doesn’t pay for anything, but when you exceed this your provider kicks in the rest of the bill. Copay is what you pay for a medical service, and you have to pay that regardless of the situation on your deductible. For example, you have a deductible of $3000 a year, and have already spent $4,000 this year. You go to the doctor’s office, and you still have to pay a $50 copay. The cost of a copay will vary based on the service, it may cost $250 for a ride in an ambulance for instance. The deductible doesn’t matter in relation to your copay. Although not very common among public companies, stock options are a popular way for startups to pay its employees. When first starting out, tech companies like Facebook and Google didn’t want to blow large amounts of cash (incredibly important for new businesses) and instead chose to partially pay their employees with stock options. This may seem a little risky, but obviously it paid off. Tech companies have made many of their employees millionaires by providing early stock. Here’s how it works. When you sign on to work at a company, you may be offered a stock option, let’s say 25,000 shares vested over 5 years, with a cliff vesting of one year. Cliff vesting means that you don’t earn the option to buy any shares until after you’ve worked at a company for a set duration, in this example one year. After one year, you’ve earned the right to 5,000 shares of stock. If you work at the company a full 5 years, you’ve earned (or “vested”) 25,000 shares. To be clear, you don’t own any of the stock yet, you simply have the right to “exercise” your options. When you were hired, the stock was set at a fair market value price, let’s say $1 each. When you exercise your options, you may purchase stock you’ve vested at this agreed upon price, so 25,000 x $1 = $25,000 to buy all 25,000 shares. This may seem like a lot, but imagine buying 25,000 shares of Facebook stock for $1 each. Each share is worth around $120 at the moment, meaning you spent $25,000 to make $3 million. Sound ok to you? Keep in mind though, stock isn’t always easy to get rid of, so if you’re strapped for cash this may not be the best option. Many people wait to exercise their options until a company goes public, this way they’re guaranteed to sell their stock at a good price. Perhaps most popular through tech companies like Google, many companies are now offering perks to help attract top talent. Ping pong and pool tables are child’s play now assome companies are going all out. Facebook and Google offer restaurants and cafes across their campuses. These companies aren’t just throwing money around though, by keeping people on campus you decrease employee commute time for meals and increase productivity. Other perks we’ve seen include gym memberships, onsite spas, and free daycare for employees with children. These are wonderful and all, but we’re partial to Facebook’s Park Day, where the company rents out a local park and employees spend a day filled with playground games. It must feel incredible to throw a dodgeball at Mark Zuckerberg’s face. Looking to learn more about how top industries stack up in terms of compensation? Check out our industry guides on Marketing, Consulting, and Finance. Want more career advice? 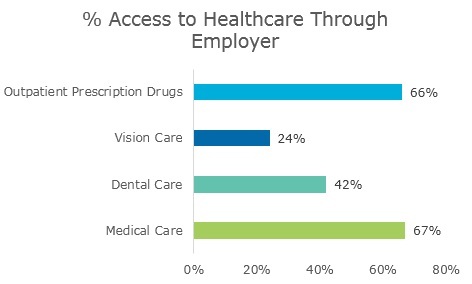 How do your benefits stack up to other careers? TransparentCareer offers free data on compensation packages, salary negotiation, and career pathing. Sign up for a free account here.